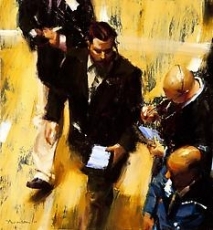 The contemporary New England painter Ben Aronson, primarily paints urban subjects from office spaces and the internal machinations of Wall Street to painting the streets of San Francisco, Paris and New York. 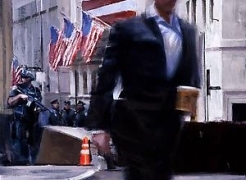 His fast and furious painterly sensibility manifests immediacy, confidence and quick decision-making. 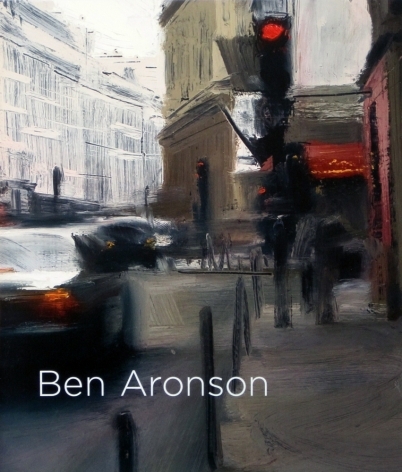 Aronson is drawn to temporality. He explores the ever-changing light of day that either reveals or conceals architectural accents of modern civilization. 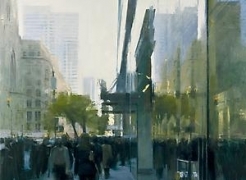 The busyness of urban life is echoed in his active brushwork. 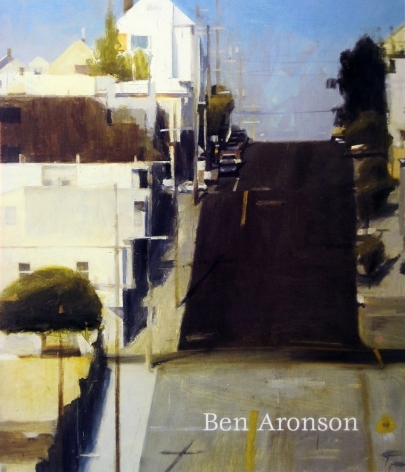 Born in Sudbury, Massachusetts, growing up in Boston, Aronson was from his early childhood, immersed in the highly artistic communities of his parent’s circle. His father was the Boston Expressionist David Aronson and his mother was the American portraitist Georgianna Nyman Aronson. Studying under Philip Guston, James Weeks, and Reed Kay he received both his B.A. and M.A. degrees in painting from Boston University. Aronson has received four National Academy of Design awards. His work has been widely exhibited and is included in more than fifty major museums throughout the United States and abroad such as the Museum of Fine Arts Boston, the National Academy Museum, New York, The Virginia Museum of Fine Arts, Vieques Museum of Art of Puerto Rico, the De Young Museum in San Francisco, The Museum of Fine Arts Houston and the Suzhou Museum, Jiangsu Province, China.